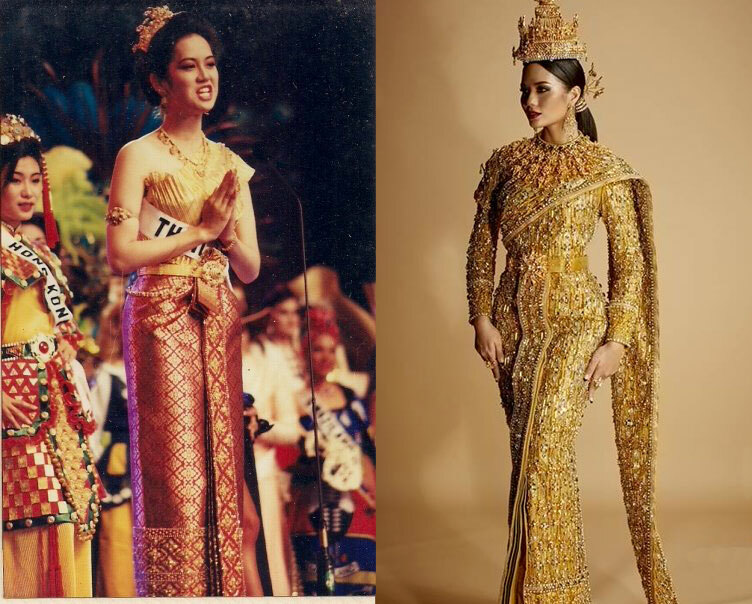 If there is one thing that is common to both Miss Universe Thailand 2016 (2559 มิสยูนิเวิร์สไทยแลนด์) and Miss Thailand 1994 (2537 นางสาวไทย) it should the “number” of things they bought to Manila for the Miss Universe competition. Chalita Suansane (ชลิตา ส่วนเสน่ห์) caught the attention of the worldwide media after she was spotted checking-in more than a dozen suitcases for the 65th Miss Universe pageant. Meanwhile, Miss Universe Thailand 1994 Areeya Chumsai (อารียา ชุมสาย) brought with her not really “things” but she was named as the contestant with the most number of family members other than host candidate attending the finals night. The luggage of Chalita and the people that came to cheer Areeya reflect that confidence in their chances but as we all knew, Areeya came short with her campaign. Still, Areeya’s 13th place finish at Miss Universe 1994 was a testament that she was a strong candidate. In fact, if the format in 1994 would be similar to that of 2015, Areeya would have become one of the semifinalists. She scored quite well at the swimsuits where her score was just 0.01 below eventual 1st Runner-up, Colombia’s Carolina Gomez. It was the gown of Areeya which dragged down her average score. In this edition of Miss Universe, Thailand is making sure that Areeya’s mistake will never be repeated. Chalita with her suitcases – 17 in all to be exact – is full of designer dresses made by top couturiers. Without any doubt, she will do well in the gown preliminaries. However, Chalita might underperform in the interviews. Back in 1994, Areeya had no trouble speaking in English as she was born and raised in the state of Michigan in the United States. Chalita meanwhile has to work doubly hard to express her thoughts well in English. But there is one stark difference between Chalita and Areeya. 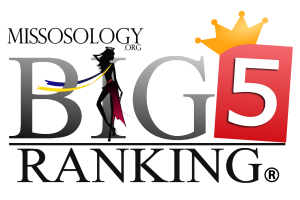 Areeya was never named as a top favorite while Chalita has always been the apple of the eye of so many pageant analysts. That is why the hopes for the third Miss Universe crown for Thailand is on its all-time high. The momentum also favors Chalita as her predecessor was a Top 10 finalist whereas in 1994, the momentum created by Thailand’s victory in 1988 had already worn off. 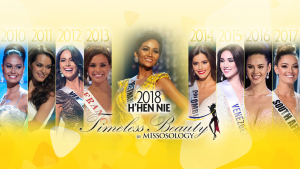 For many pageant aficionados, it seems it was only yesterday when the Philippines last played as a host to the Miss Universe pageant. But take note that the year Areeya competed at Miss Universe is also the year when Chalita was born! The dynamics for Thailand back then was completely different from what it is today. Thus, while it is true that both Areeya and Chalita are strong candidates, Chalita’s chances in winning the crown is enormously higher.